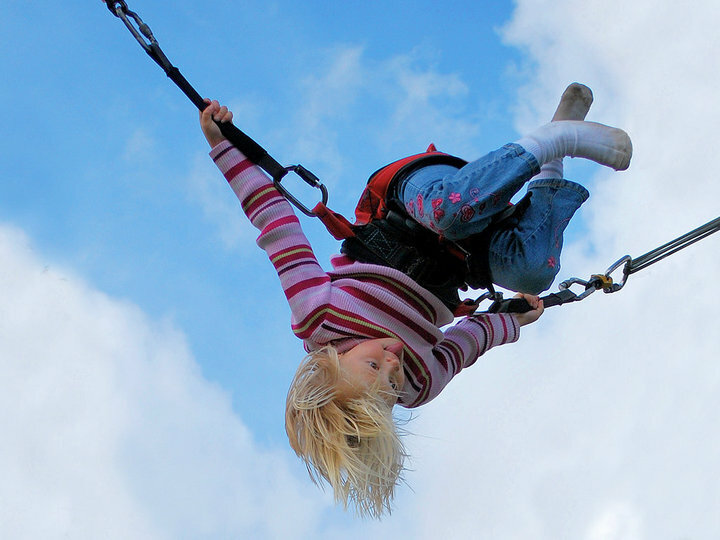 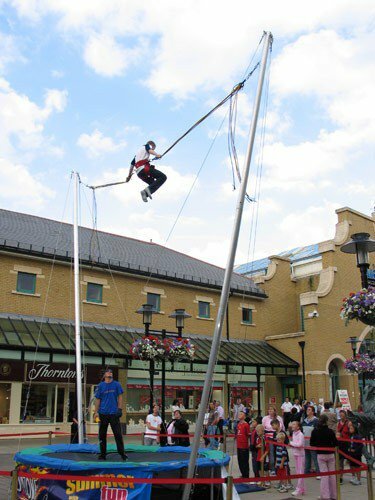 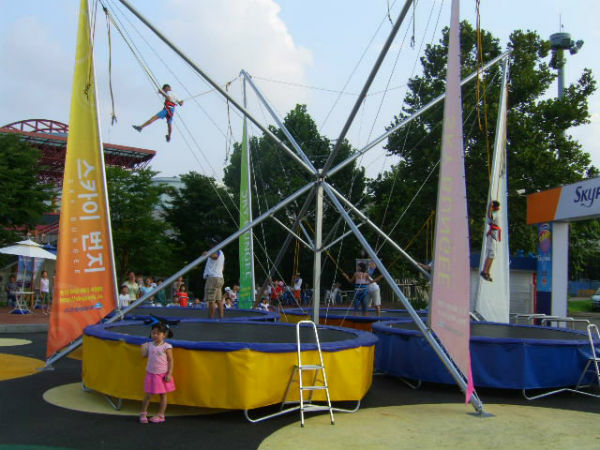 Bungee Trampolines offer everyone, whether young or old, an athlete or an amateur, the ability to leave behind them the limits of physical abilities and to catapult themselves, seemingly weightlessly, up to nine metres high, allowing them to fly and somersault. 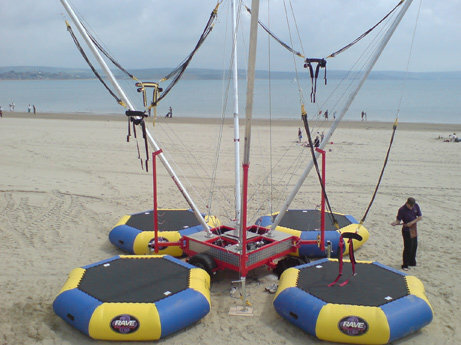 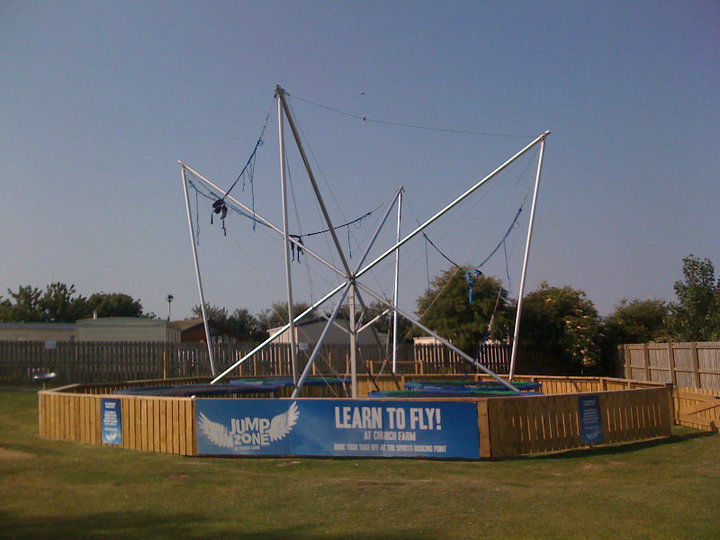 This attraction, incorporating 4 trampolines, takes up an area of 10m x 10m and comes with four supervisors. 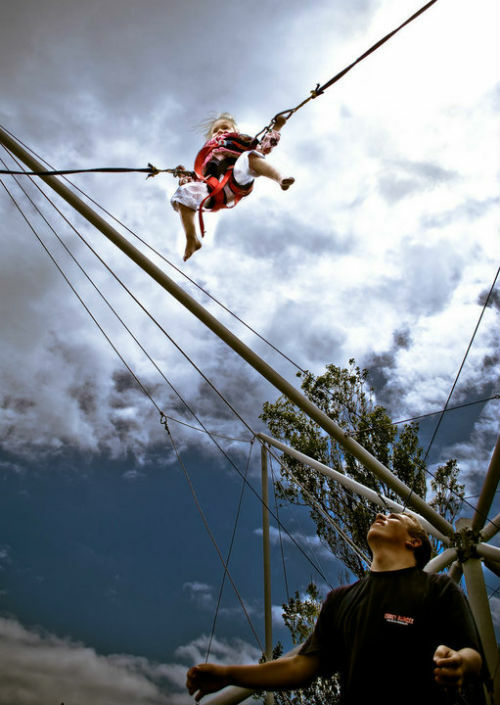 Here bungee and trampolines unite to create a unique experience.